Connection choices include dual 3.5mm plugs or a USB plug. Also available is a single 3.5mm To Go™ plug that's compatible with iOS, Windows & Android-based smartphones, tablets and other devices including iPad®, iPhone®, iPod®, Galaxy, Kindle Fire HD® and Nook® to support 1:1 computing, differentiated instruction and 21st century mobile learning. 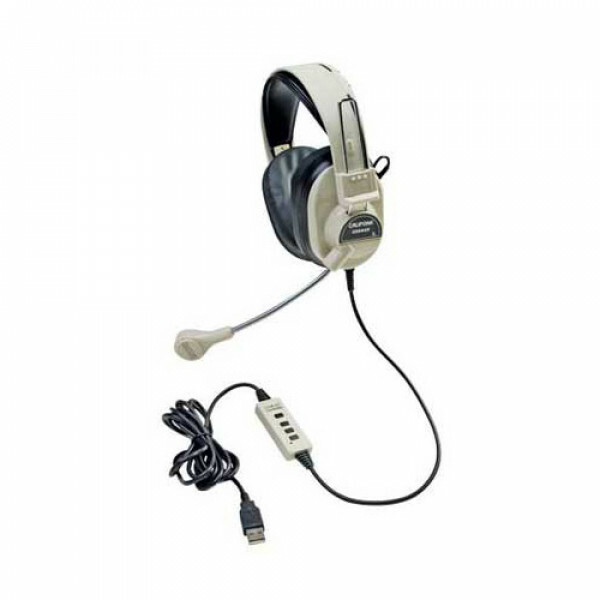 The Deluxe Multimedia Stereo headset is built using durable ABS plastic to withstand shattering into potentially sharp and dangerous shards, unlike items made for less frequent consumer use, whose materials don't stand up to the rigors of repeated use in classrooms.